Grants have been set aside to pay for ideas submitted by the public designed to improve road safety and change road-users' behaviour. It's the third year running that the money has been made available by the Police and Crime Commissioner for Hertfordshire. So far almost three quarters of a million pounds has been allocated for new safety initiatives. According to OWL, the Online Watch Link, the grants are funded from the fines paid by people who have committed driving offences. And, supposing police actually catch the offenders, that could be quite a tidy sum. 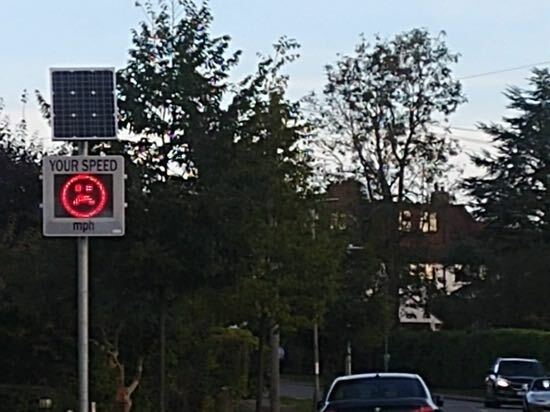 In the five minutes it took to take the picture above at 08:30 during the morning rush hour on Friday 28 September, eight of the 10 cars that passed triggered the unhappy red face icon, indicating they were breaking the speed limit. Herts police might want to note that the school run could be a good time to boost the fund. 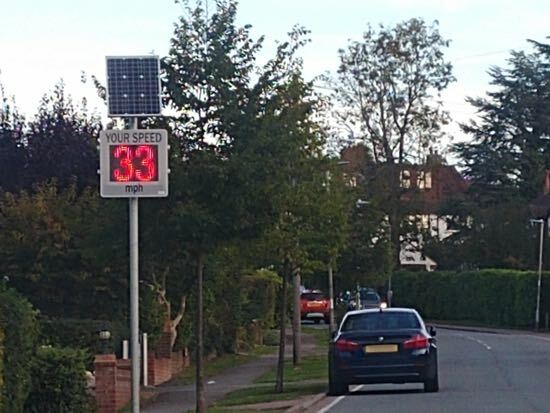 Hertfordshire's Police and Crime Commissioner (PCC), David Lloyd says that since 2016, the Road Safety Fund has supported 48 road safety initiatives across the county, including: speed indication devices, signage, education schemes and support for road traffic collision victims. “It funds projects that will assist in the delivery of Hertfordshire’s Strategic Road Safety Partnership’s vision to support a holistic mix of engineering, education and enforcement activity that is focused on reducing road casualties and antisocial road use. Public sector organisations, voluntary sector, community groups and businesses are eligible to apply. The closing date for applications is Friday 9 November. Click here for an application form. A Road Safety Information Event, organised by the Commissioner and the Hertfordshire Road Safety Partnership, will take place on Thursday 11 October, to help groups who want to apply for funding. Click here for free tickets. The following resources are available for anyone wanting to make a bid. You can add any comments on this initiative by using the comment box below.